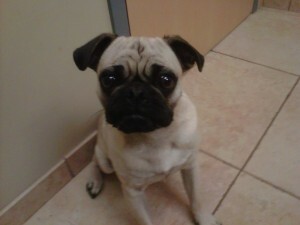 Diego is a 1.5 year old male fawn pug. Diego was an owner surrender, super cute, full of energy and potty trained. He is neutered and vaccines are current. He is currently in foster care and hope to have an update soon!